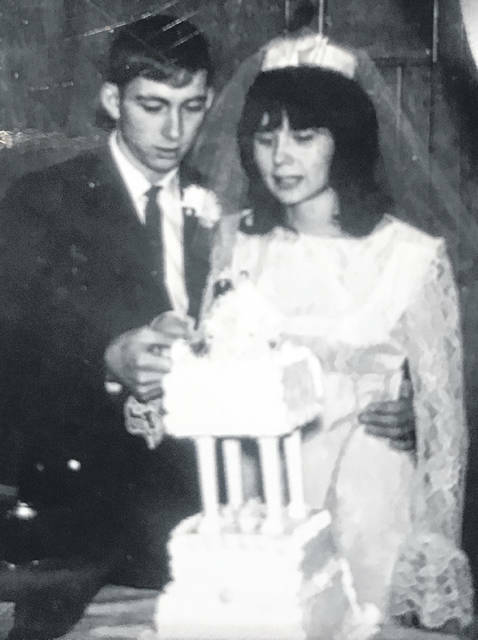 SIDNEY — Brenda and Craig Langston, of Sidney, will celebrate their 50th wedding anniversary at an open house hosted by their children and grandchildren, Feb. 2, 2019, at 7 p.m., in the Houston Community Center. They request that gifts be omitted. Craig and the former Brenda DeLaet were married Jan. 31, 1969, in the Hardin United Methodist Church. The Rev. William West performed the ceremony on a cold day. Brenda’s wedding dress and her maid of honor’s dress were made by Brenda’s grandmother. Witnesses to the wedding were maid of honor Betty (DeLaet) Blue, sister of the bride, and best man Francis “Butch” DeLaet, brother of the bride. How did the couple meet? Brenda says she was introducing Craig to a friend but he wasn’t interested in the friend; he wanted to ask Brenda out. Craig says that Brenda’s brother, Butch, paid him $50 to take her out. Grandma Langston says that she picked Brenda out at the FFA banquet and told Craig to ask her out. Craig is the son of the late Bernice (Ely) and Harold Langston. He has three brothers and sisters-in-law, Darrell and Sandy Langston, of Houston, Harold Jr. and Elaine Langston, of Versailles, and Lonnie and Lynn Langston, of Carmel, Indiana, and a sister, Barbara Hughes, of Sidney. A brother-in-law, Bobby Hughes, is deceased. Brenda is the daughter of the late Francis “Frenchie” DeLaet and the late Patricia (Vondenheuvel) DeLaet Cisco Petersimes and the stepdaughter of the late Larry Cisco. She has three brothers and a sister-in-law, Francis “Butch” and Rhonda DeLaet, of Sidney, Larry Cisco, of Minster, and Kenny DeLaet, of Springfield, and a sister and brother-in-law, Betty and Bud Blue, of Houston. The Langstons are the parents of a son, Craig Langston Jr., of Sidney, and a daughter and son-in-law, Shelly and Paul Barhorst, of Fort Loramie. They have three grandchildren. 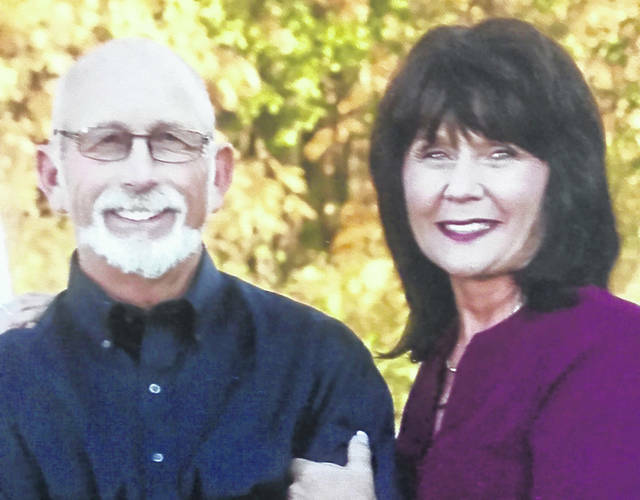 The couple have owned and operated Langston Pallets since 1974. Brenda is a member of Holy Angels Catholic Church in Sidney. Craig enjoys working on old cars and watching their granchildren’s sports. Brenda enjoys traveling, shopping and volunteering at Agape Distribution in Sidney. They both enjoy spending time with family and friends.